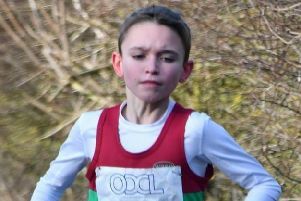 Simon Piper led Cherwell Runners home in the latest Oxford Mail Cross Country League meeting. First home for Cherwell A team was Piper in 35.33 minutes, followed by Henry Sleight in 37.26, Ian Thomas 37.40 and Les Hutchinson 37.49. John-Paul Hamilton was next home in 41.06 followed by Mike Pollard 41.42 and Danny Batchelor, completing the A team in 41.56. Cherwell B team were brought home by Kurt Trinder in 42.18, Gyles Horner 43.14, Warren Harrison 43.49, Peter Sutton 47.23, Shaun Mullins 49.25 and Chris Bagnall in 64.46. Jennifer Keal led the Cherwell ladies home again in 31.17 minutes and well supported by Clare Curnow 32.31, Martha Bagnall 33.17, Claire Stratford 33.50, Kim Hopkinson 34.36, Kim Shaw 35.38, Helen Walker 36.24 and Natalie Herbert in 38.23. 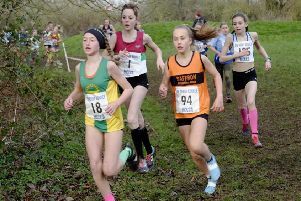 The team were second on the day and overall in division three while the ladies were fourth and sixth overall with one fixture to go next month.